Our food pantry offers families a supplemental source of groceries to stretch a low-income family’s budget just a little further. This essential effort gives families an opportunity to choose outfits from a carefully selected assortment of clothes, which assist to alleviate strain on the budget and maintain an individual’s dignity through relevant clothing. This effort is a partnership with the Old Firehouse Day Shelter in which we provide a meal and a cot for up to 20 men, women and children during the winter months. 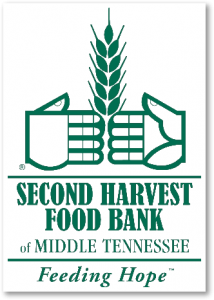 This is a grant-funded program which distributes CDBG (Community Development Block Grant) funds awarded annually through the Clarksville Community Development Agency. Radical Mission money Management Course helps families who are in danger of being evicted. This program teaches basic budgeting skills to families who qualify for the program and the rental assistance funds that are provided upon completion of the course. Radical Mission also accepts vehicle donations, which are redistributed to carefully selected recipients. Celebrate Recovery is a recovery program for all hurts, habits and hang ups. Celebrate Recovery is a safe place where you can find help for past hurts, codependency, anger, the inability to forgive, past physical, emotional or sexual abuse, and freedom from any kind of habit or addiction, including substance abuse, food addictions, sexual addictions and more. We meet on Friday nights for dinner, worship and a lesson from the 12 steps. Participants can choose to attend Step Studies where they work through 4 work books covering all 12 steps. It is our desire to also network with other church and community agency resources to offer optimal care in the relationships in which we are engaged. Gives people the opportunity to learn a new way of feeding themselves. Here where people can pick their own fresh vegetables, learn how to garden by working along side volunteers, and become empowered to take care of themselves and contribute to community economics that is based on teamwork and cooperation. This project is done in conjunction with the Radical Mission food pantry. The food pantry’s main purpose is to provide relief for the person’s dietary needs. When a person comes to the pantry in need of food, they are asked to come to the garden where they are welcome to take what ever fresh vegetables they need. Since the garden is always producing food, people are encouraged to come as often as needed and take enough food to last till the next time they come back. The person is also encouraged to help in the garden and learn agricultural skills. Radical Mission accepts donations of furniture and redistributes these items back into the community to families in need. Radical Mission provides a weekend food supplement for 30 middle school children identified through the local school system as children whose main weekly food source is the school system lunch program. These kids don’t go hungry over the weekend at home due to this provision. The F.U.E.L ministry is lead by the youth at Community of Hope they raise the funds and package the food. The packages are then delivered to the school on Thursdays. Engage is an employment readiness program, which helps others to obtain and maintain employment. Engage’s holistic approach includes helping our clients with relational skills, conflict management, finding dignity in all types of work, the importance of one’s attitude, and understanding employers’ expectations while empowering them with interviewing skills, how to write a resume and tips on filling out job applications. In addition, participants will learn about money management and filling out employment related tax forms. Engage will provide participants with tools to overcome barriers in obtaining and maintaining employment; tools such as professionalism, how to work as a part of a team, oral communication, ethics and social responsibility. Spaces for Grace is Radical Mission’s income based counseling center. At Spaces for Grace our role is to help people find some traction so that they can move forward in how they view and connect with themselves and those they care about. We are not here to fix people’s lives. The goal is the peace and joy that comes from embracing self, others, and God. We will journey with you as you experience healing and find peace in your relationships… a healing that helps you to realize your identity, embrace your purpose, and live out your life’s mission.